Camp. I can’t say I’ve had the pleasure of attending as a child. I never went to sleepaway camp. Growing up in NYC in the 70s and 80s, it just wasn’t on the itinerary. 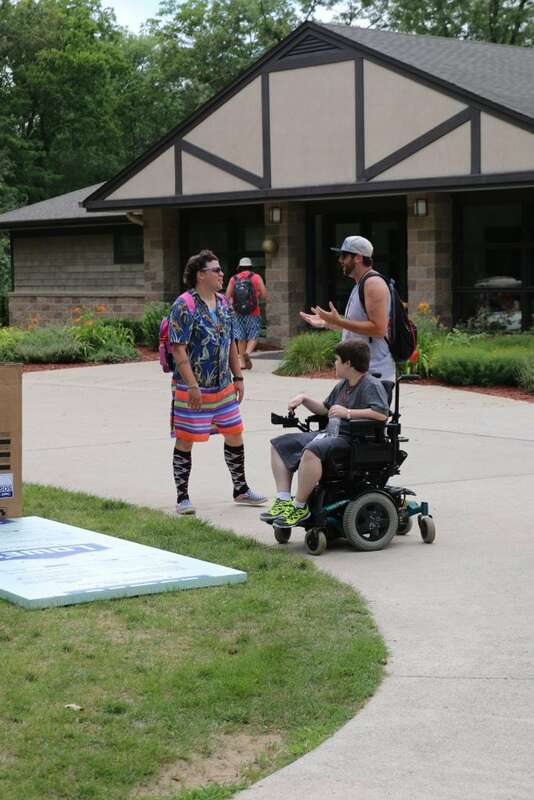 So, when I was invited to fly to Chicago to visit the MDA Summer Camp – a weeklong overnight camp for kids and teens with muscular dystrophy – I jumped at the chance. I’ve always wanted to learn more about the MDA Summer Camp and this trip enabled me to see first-hand how the facilities were run. There are around 40 campers at any given time. I asked if there was a certain cap / max out point and I was told that the organization would never turn away a camper. That was really nice to hear. It’s a week long event. Campers come in on Sunday and leave on Friday. Parents drop off their children – despite what services the child needs. In order to ensure everyone is properly cared for, there are a number of nurses and staff members on hand. It’s pretty much 1:1 at each MDA Summer camp. I saw children who were running around during their first stages of MD diagnosis and I saw children with breathing and feeding tubes in wheelchairs. Everyone is cared for – 100%. It costs around $2,000 per child per week. 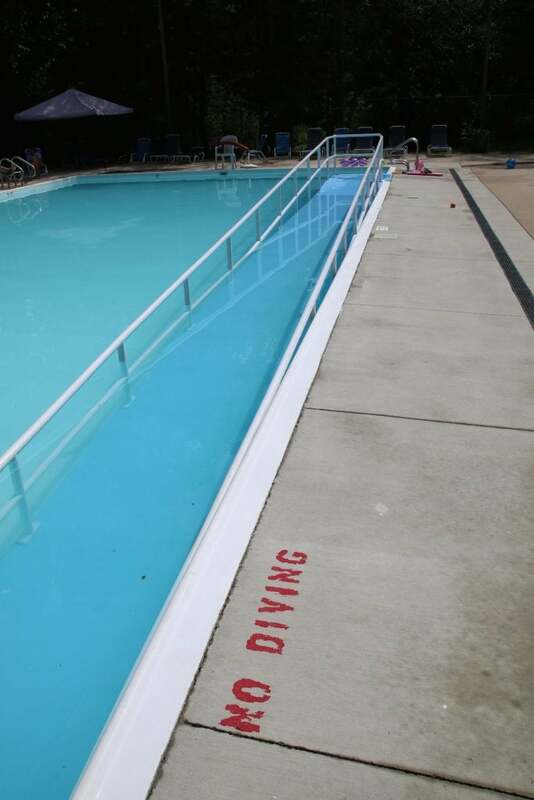 There’s about 4,000 children a year that attend the MDA Summer camps. Do the math. That’s some heavy fundraising that needs to happen. That’s why we all need to be talking about this – TODAY. Local donations help with each camp. 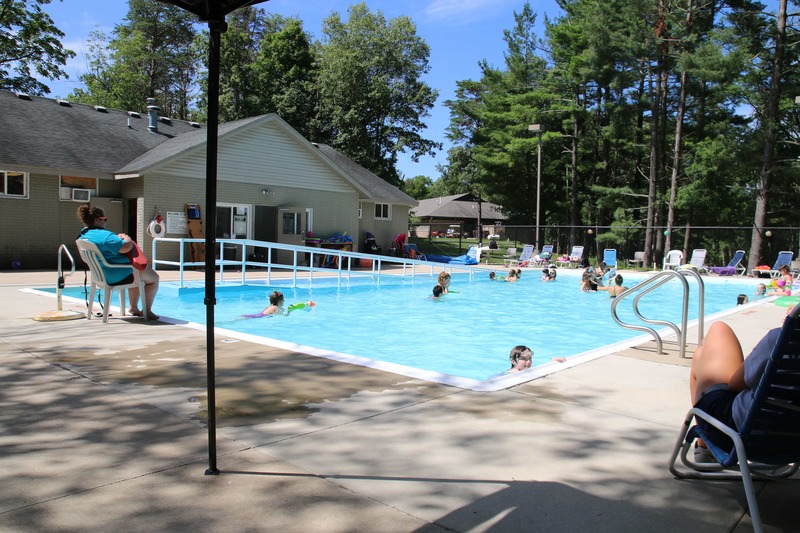 For example, Lowes installed air conditioners in each of the cabins because most of the children need specific atmospheric requirements to rest easy. Lowes offered us the air conditioners for free. I think that is simply wonderful. Makes me want to go out and support them THIS WEEKEND! Now that I gave you a little rundown, I want to talk about some of the camp activities that I saw and really loved. Immediately, when we entered the camp and sat down for breakfast, we were introduced to “Yes Notes”. Children are encouraged to write positive notes to each other all day long and then every breakfast a staff member reads them all out loud. I LOVED LOVED LOVED this. Children wrote notes to their friends, to their camp counselors, to THEMSELVES. Pure joy. Made me so happy to hear all that positivity so EARLY. It also made me think that I need to start doing this at home with my own children. 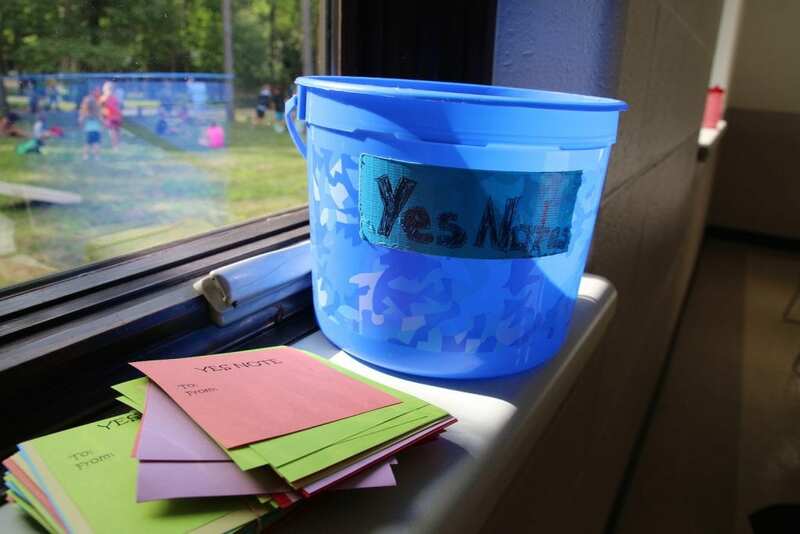 Perhaps once a week we could read through our own “Yes Notes” bucket and relive some really great family moments together. 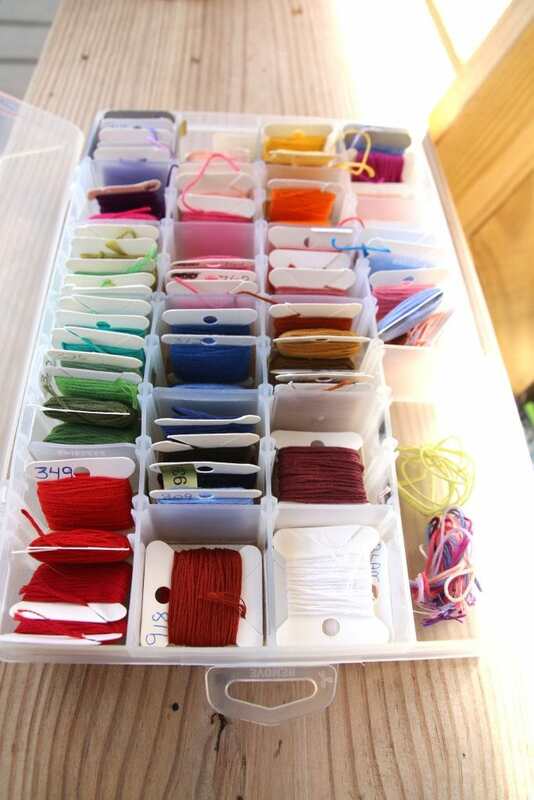 The days were segmented into several slots – each activity lasting around 1.5 hours. The activities were not guided. For example, when we went to the lake, the children were able to fish, to go out on canoes or build sandcastles in the sand. Whatever they wanted to do – for however long they wanted to do it. I sat there watching my group of ten quietly shift from one activity to the next beaming with joy and I realized that I do way too much for my kids. I have them scheduled down to a T. But in those moments, I saw an ease amongst the group. I saw conversation. I saw laughter. I saw peace. And it was all very powerful for me. Take it slow and enjoy whatever happens. A few minutes into my time at the camp, I decided that I really didn’t want to photograph every moment of the day. I decided that I wanted to be part of the moments with the children. I needed to learn about their lives instead of just photographing them from afar. But I couldn’t help but snap this one shot because I was so drawn in. I saw just how happy this child was when she caught that fish. At 13, she reminded me of my daughter. In fact, it was at this moment that I wished Natalie was with me. I felt like the two girls would have become fast friends. The fish was eventually placed back into the water and the group actually caught several more before we left. I also want to note that one of the counselors I partnered with was a former camp attendee! How wonderful is that?! 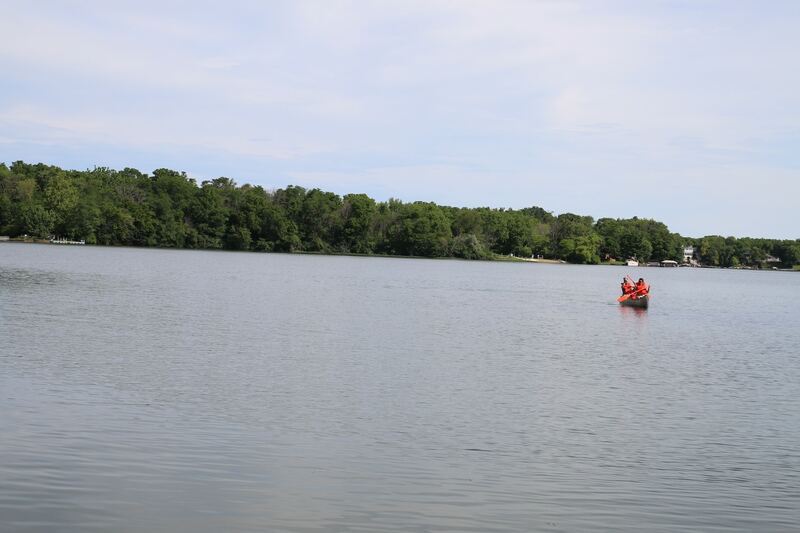 It was the first time that the MDA Summer Camp tried something like this and it turned out to be a complete success. One of the kids’ favorite activities is swimming at the camp and with very good reason. Not only do the children enjoy the cool water on their faces, but they also love the sense of freedom they feel while swimming. To be free of those wheelchairs and braces and walkers – even if it’s just for an hour or two – magic. This was one of the most enjoyable moments for me while at the MDA Summer Camp. Watching the kids laugh and play in the water. Are you ready for this? EDP. Emergency Dance Party. W-H-A-T? EPIC. All of a sudden – during lunch – music came on and the crowd went wild. People started screaming, “EDP! EDP!” I had no idea what was going on until I saw that everyone started to get down and boogie. It was an emergency dance party!! Totally amazing!!! 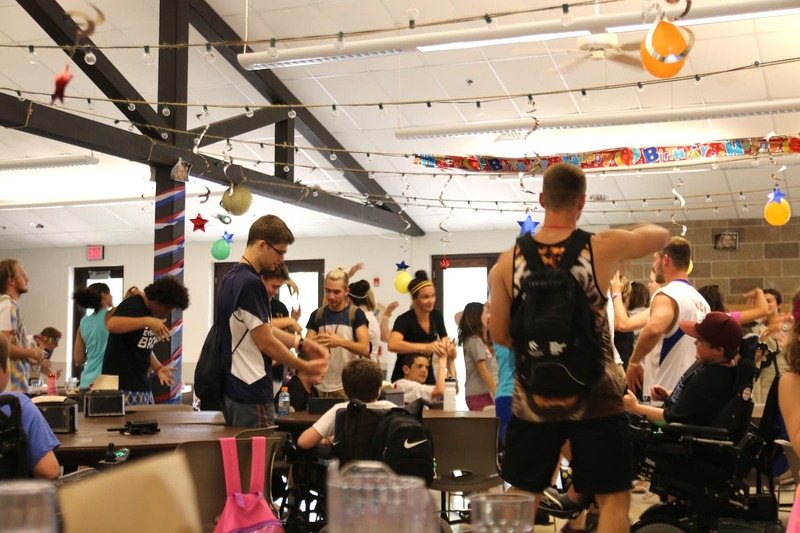 I was talking to one of the camp directors and he said everyone does the dance party differently – but as long as they kept moving and laughing, it was working. If someone had to move their wheelchair to dance, they do that. If someone could only move their nose to dance, they do that. Everyone can – they just can differently and on their own terms. Can’t isn’t in their vocabulary. In the end, I realized that it all came down to the people at the camp. They are the ones that made the experience. 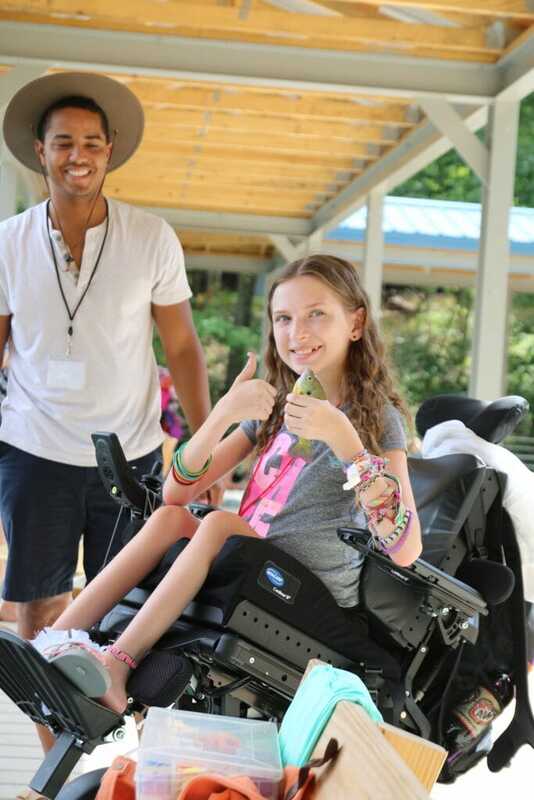 Whether it was the people attending, the camp counselors or the dozens of other staff just waiting to participate and make someone’s day, it truly was a wonderful day spent outdoors at the MDA Summer Camp. You can get involved today from the comforts of your home. 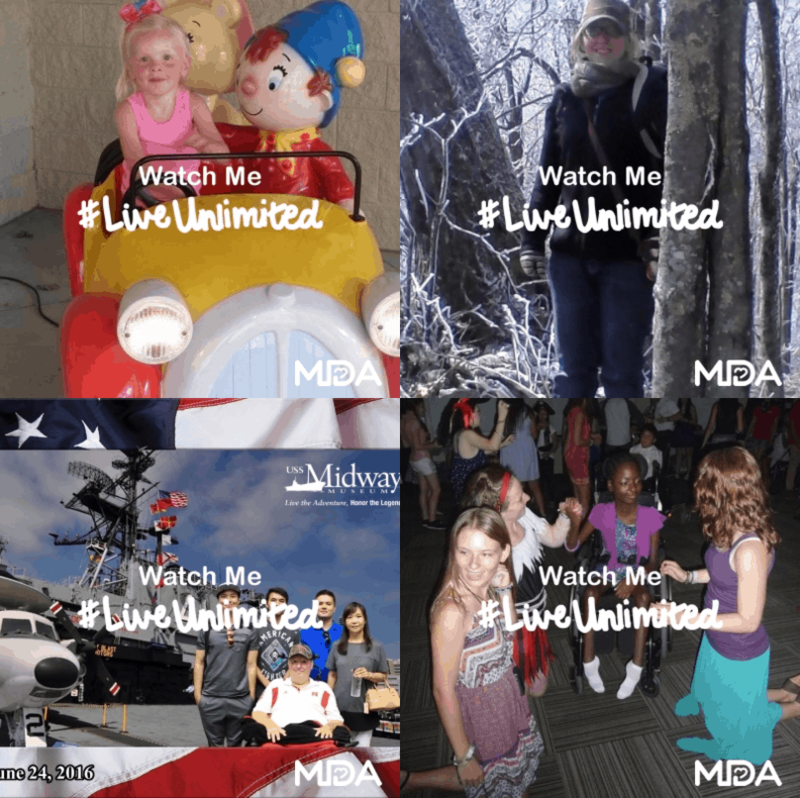 Until July 31, create your live unlimited image and $5 will be donated to help kids and adults with muscular dystrophy and ALS. Click here to get started. Found you on Google Plus looking for #liveunlimited posts. I too thought the Yes Notes were great.